We have been preparing for Halloween over here since July-ish. 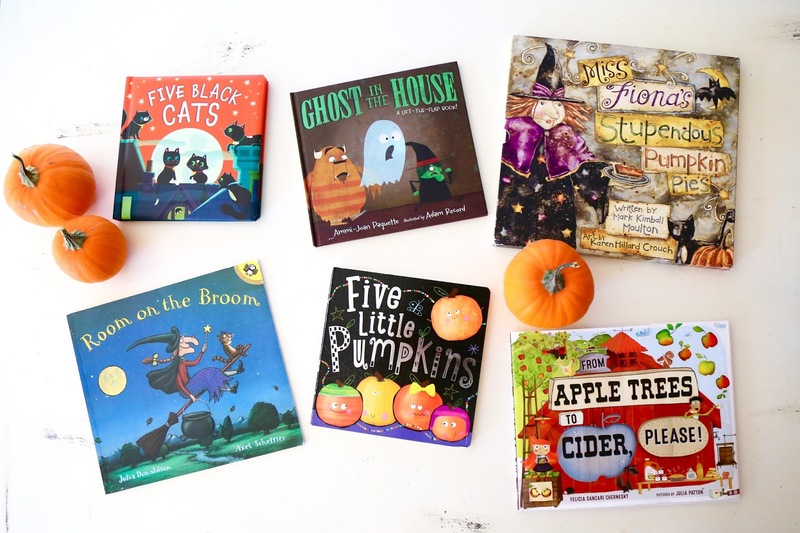 My kids talk about halloween costumes for moooost of the year + we pull out the Halloween books September 1st. We have quite the growing collection + I wanted to share a few of our favorites here! // Top two, forever favorites are Miss Fiona's Stupendous Pumpkin Pies + Room on the Broom. We got them while I was pregnant with Abel + they've been favorites for us and for the kids since day one. // It's Pumpkin Day Mouse! 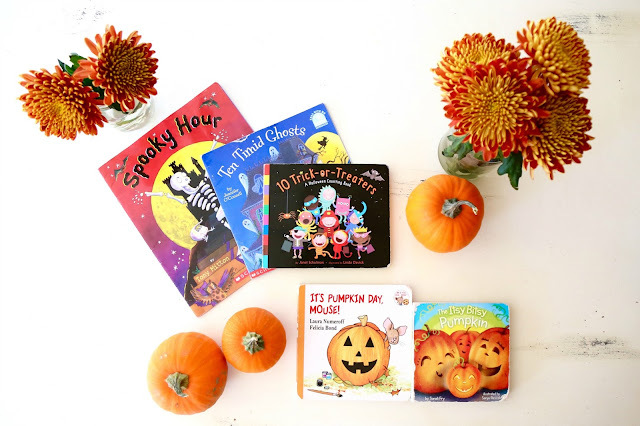 + The Itsy Bitsy Pumpkin are sweet + easy board books, meant for little hands + short attention spans, but our big kids still love them + so they made our list. // From Apple Trees to Cider Please, is a new one for us this year. The illustrations are so cute + it has a nice rhyming pattern, win. // Ghost in the House is a precious lift the flap book that we scored last year at the grocery store of all places. 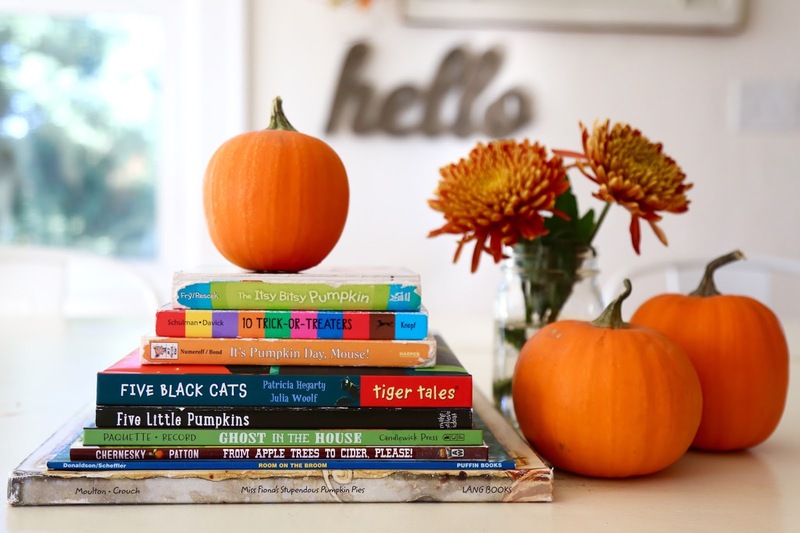 All of these books can be found on Amazon + would be sweet additions to your Fall Library, enjoy!